The Board of Governors has approved the following committees and committee members for the 2017-2019 term. [The President shall] appoint all committees, designate the persons who shall chair the committees, determine the duties and scope of the committees, and remove any committee chairperson or member, with the exception of the Audit Committee, which shall be reserved to the Board of Governors. There shall be a standing Executive Committee which shall consist of the President, Vice President, Executive Director, Immediate Past President and General Counsel. The President may convene the Executive Committee on matters of importance as the President deems appropriate. The Executive Committee shall consider and review any matter designated by the President and make recommendations to the Board as to any issue which the Executive believes action should be implemented. The President may invite participants of such persons, Officers or Governors where their participation would assist in the discussion of the subject matter to be reviewed [Bylaws: Article IV, Section 6]. The Audit Committee shall audit such reports and accounts as may be referred to it and report thereon to the Board of Governors and the Executive Director. The Board of Governors may retain the services of a Certified Public Accountant or firm of public accountants to audit the books of the Association [Bylaws: Article IX, Section 7]. The Audit Committee must review the annual financial statement with independent auditor’s report as well as the IRS form 990, prepared by an outside audit firm contracted by the Board. An audit report is required to be delivered to the membership in an open session Board meeting at the earliest opportunity. The Audit Committee and its members are appointed by the Board of Governors [By-laws: Article IV, Section 4(h)]. The Treasurer shall serve as a member [Bylaws: Article IX, Section 3(b)]. The Budget & Finance Committee has oversight of the Association's budgeting processes and financial performance. The Treasurer shall serve as a member [Bylaws: Article IX, Section 3(b)]. The Investments Sub-committee advises the Association’s Board and Officers on wise investment strategies to ensure the financial stability of the organization and preserve its economic well-being in perpetuity. The Bylaws & Ethics Committee monitors the revision and updating of the ANA Bylaws & Codes of Ethics. A draft of any proposed revision to the bylaws must be reviewed by legal counsel before going to the Bylaws & Ethics committee for review. The committee will then prepare a report of its recommendations for the Board’s consideration and for presentation to the membership. This committee can also be called upon to assist the Executive Director with updates to the ANA Policy Manual. The Consumer Affairs Committee informs the Board on consumer protection issues faced by the numismatic collecting community. The Convention & Dealer Relations Committee facilitates the work of the convention(s) under the direction of the Executive Director and/or Conventions Director [See Bylaws: Article X, Section 2]. It serves to provide feedback and/or perceptions from the general public, membership, and local convention committees on the National Money Show and World's Fair of Money conventions. It also provides the Association feedback and recommendations with regard to issues relevant to the dealer community. The Development Committee will support fund development efforts and strategies in coordination with the Board and Executive Director for the benefit of the Association. The Education & YN Committee is responsible for developing recommendations to increase the Association's educational outreach and programs for members and the public. It is also within scope for this committee to assist with programs involving Young Numismatists, including Boy and Girl Scout initiatives. 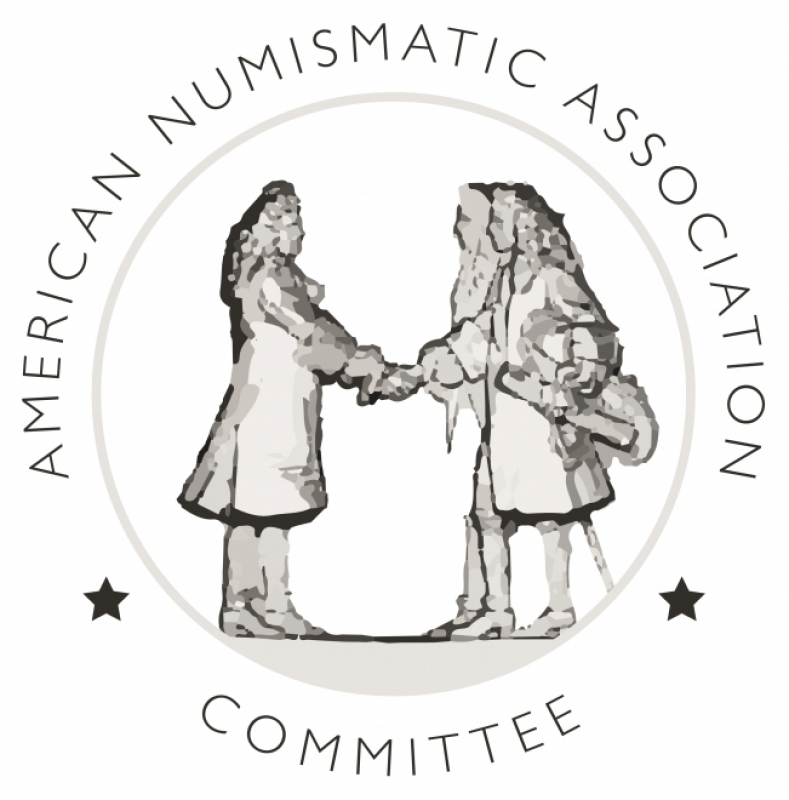 The Library & Publications Committee provides feedback and recommendations on the policies of the Dwight N. Manley Library and the ANA publication, The Numismatist. The Marketing & Social Media Committee was created to explore new ways to expand membership in the ANA. It will develop strategies to promote the Association and develop engagement via Money.org and social media outlets as well as encourage attendance at the Association’s educational events and conventions. The Money.org Committee is devoted to website development, security and privacy, and expanding numismatic content on Money.org, making the ANA a destination for numismatic education. The Museum Committee provides feedback and recommendations on the policies of the Edward C. Rochette Money Museum. The Resolutions Committee reports to and reads before the Board all resolutions relative to commending any individual, club, convention committee, or other numismatic group as part of the official record at both the National Money Show and the World's Fair of Money. The committee may also read into the record any special citations it deems of merit. The Board must move and vote to adopt all resolutions put before it in order for them to become official and binding.